Currently airing season 15, Grey’s Anatomy has covered quite a bit of ground throughout its seemingly unending reign on prime time television. Viewers were hooked almost immediately thanks to the show’s impossibly quotable dialogue, epic romances and complex medical cases set to an amazing soundtrack. Grey’s made household names of all its stars and reminded the world that ‘80s heartthrob Patrick Dempsey was still a total dreamboat. The series is also largely responsible for the impressive Shonda Rhimes television takeover that followed. It is true that much of the best Grey’s Anatomy drama stems from its core cast, despite the fact that the majority of faces have changed drastically since season 1. However, the doctors of Seattle Grace aren’t the only memorable characters to appear in the long-running series. Many of the patients have also been pretty incredible - even if the majority of those cases resulted in an intense need to hug your loved ones. Over the years, Grey’s has introduced fans to some pretty unforgettable patients. Thanks to the show’s seamless mix of heart and humor, these cases often touch upon the full spectrum of human emotion. There were moments that made viewers laugh out loud, but others that had them reaching for the nearest box of tissues. Although the most lovable patients on the series are too numerous to name, there has also been the occasional transient that fans wish they had never met. 20 Memorable: Denny Duquette Jr.
Has there ever been a more memorable patient than Denny Duquette Jr.? Seriously, no matter how wrong the season 2 romance between Izzie and her patient was, viewers refused to stop rooting for them. There have been plenty of heartbreaking patient losses on Grey’s Anatomy, but none quite so gut-wrenching as when Izzie discovered that Denny had slipped away. Denny was not only kind, but also funny and thoughtful. Of course, much of this can be attributed to Jeffrey Dean Morgan’s undeniable charms - side note: why do so many shows and movies insist on offing his characters? As much as fans loved watching the romance between Izzie and Denny develop, the less said about his season 5 stint as a ghost/hallucination, the better. We can appreciate that Sonya Cowlman and Adam Morris had a complex marriage and an even more complicated divorce, but that doesn’t change the fact that their medical case was kind of icky. They appeared in season 3 episode, “Oh, the Guilt”, portrayed by Faith Prince and Arye Gross, respectively. Sonya and Adam were a divorced couple that hadn’t quite gotten over each other since their marriage ended. Unfortunately, a midlife crisis piercing that Adam had gotten wound up caught on Sonya’s method of contraception, leaving the two in a rather compromising position. They got stuck and had to be taken to the hospital. Making matters worse, their daughter walked in on this horrible visual, before the doctors were able to separate them. Talk about needing years of therapy! The fact that Season 2 patient Beatrice Carver is memorable shouldn't come as too much of a shock, considering it was Laurie Metcalf who played her. Despite being diagnosed with terminal cancer, Beatrice was intent on hiding her looming fate from her daughter, Amelia. Keeping the secret was so important to her that she even attempted to check out of the hospital against medical advice to celebrate her daughter’s birthday. Ever the realist, it was Alex who convinced Beatrice that she needed to be honest with Amelia before it was too late. In a beautiful, but heartbreaking scene, Beatrice told her daughter the truth. However, she did more than just explain how sick she really was. Beatrice crammed a lifetime’s worth of maternal wisdom into just a few moments, knowing that she wouldn’t have much more time to do so. Played by future Friday Night Lights alum, Jesse Plemons, Jake Burton appeared in season 2 as well. He came to the hospital with a brain tumor, which had been caused by his incredibly severe case of lionitis. Derek planned on resecting the tumor and Mark suggested that, since the patient would be under anesthesia anyway, the plastic surgeon might as well attempt to remove the growths from his face. This would make the fifteen-year-old look “normal” for the first time in his life. In a soul-crushing turn of events, Jake did not survive the tumor resection. Thankfully, Mark was still game to perform the other surgery with Alex and Cristina assisting. Jake may never have been able to see his new face, but his parents wept in gratitude. What can we say? Season 2 had a lot of memorable patients. Few left more of an impression than Bonnie Crasnoff and Tom Maynard. These two were victims of a train crash that flooded the hospital with patients. Their case was unique, however, because they had been impaled on a metal pole… together. The pair were joking, bonding with each other right up until the end. Unfortunately, there was no way to save them both and the patient with the better odds of success was Tom. In a heartbreaking moment, Bonnie asked that Derek be the one to tell her fiancé what happened. When the two patients were separated, the life began to drain from Bonnie immediately. The other doctors rushed to save Tom, but Meredith refused to abandon her. Lawrence Jennings (Mitch Pileggi) made his first appearance in season 3. He was a member of the board, but his debut episode saw him show up as a patient. After spending some time in the Amazon, Larry found himself experiencing certain uncomfortable symptoms. Chief Webber diagnosed him as having a candiru fish, which is basically a fish that swims up the last place anyone would ever want one to. It’s not just that Larry’s case was kind of gross. The larger issue is that he was cheating on his wife with his assistant and was awful to both of them. By episode’s end, Larry did lose his marriage and his mistress, but he’s still a patient best left forgotten. One of several Buffy the Vampire alums to appear on Grey’s Anatomy, Seth Green showed up in season 4 for “Crash Into Me” Parts 1 and 2. He portrayed the sweet, but short-lived, Nick Hanscom. One of Lexie’s first patients, Nick had a huge tumor removed from his carotid artery. He was left with just a small flap of skin covering this very sensitive area. Nick and Lexie quickly developed a good rapport, which made it that much more difficult when his artery inevitably burst. Lexie did everything that she could to save him, but sadly, it wasn’t enough. Thanks to Green’s charms, most viewers were just as heartbroken as Lexie after he bled out. CeCe Colvin is the most recent Grey Sloan Memorial patient on this list. She was portrayed by Caroline Clay and appeared in six episodes during the show’s current season. CeCe was inadvertently responsible for taking someone's life after passing out behind the wheel due to her health issues. Nisha was driving the car that CeCe hit and she suffered tremendous guilt over the fact that the other woman didn't survive. CeCe was a professional matchmaker with an 85% success rate, so she took an immediate interest in Meredith’s lack of a love life. Finally ready to attempt to find romance, Meredith was actually somewhat receptive. Sadly, even though she convinced CeCe that she deserved to live, in the end, Meredith couldn’t save her thanks to a power outage during surgery. Before Mandy Moore made America fall in love with Rebecca Pearson on This is Us, she was one of Grey’s Anatomy’s most memorable patients. Mary made her debut in the season 6 finale, also known as one of the most intense two-parters in the history of television. She was at the hospital for a routine surgery, but after her husband left to grab her something to eat, everything went crazy. Bereaved husband, Gary Clark, walked into the hospital and started shooting people. 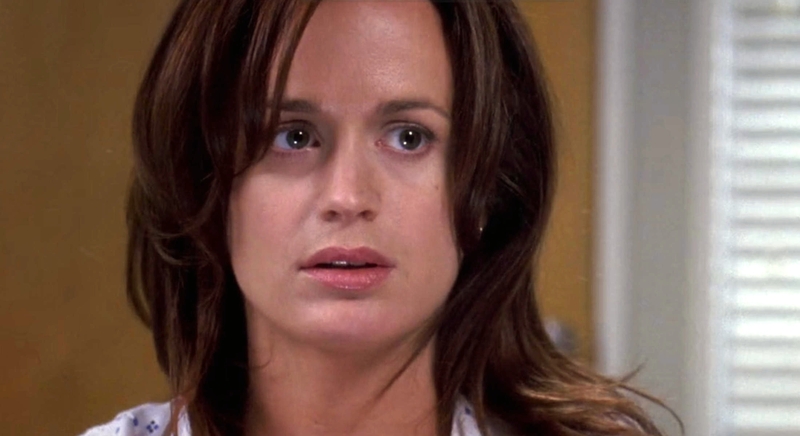 Mary was trapped in her hospital room with Bailey and later, Charles, during the incident. In a gut-wrenching twist, Mary survived the shooting, just to later lose her life following the procedure that she had originally gone to the hospital for. The surgery seemingly went off without a hitch, but Mary never woke up. After seeing the patient/doctor romance story rendered in such swoon-worthy fashion with Denny and Izzie, the one between Alex and Ava was pretty disappointing. Rebecca (Elizabeth Reaser) showed up in season 3 as a pregnant Jane Doe who was wounded beyond all recognition from the ferry crash. Alex was the one who found her and the two grew quite close over time. The issue was, there wasn’t much chemistry between Justin Chambers and Reaser, plus the storyline just dragged on for far too long. The questions raised by Ava’s identity crisis could’ve been interesting, if the story wasn’t so focused on her lackluster relationship with Alex. She kept leaving and every time she returned, viewers cared just a little bit less about what happened to her. This season 4 love story was particularly soul-crushing, but also unforgettable. Jeremy West (Marshall Altman) and Beth Monroe (Jurnee Smollett) met when they were being treated at the Mayo Clinic and grew close while attending the same cancer support group. They were reunited when both chose to take part in the clinical trial run by Derek and Meredith. Jeremy and Beth knew that they were living on borrowed time and neither wanted their lives to end without giving into the love that they felt for one another. Beth was heartbroken when Jeremy was the next in an ever-growing list of casualties resulting from the trial. However, she also wound up being its first successful candidate. She didn’t want to live without Jeremy, but surviving the trial enabled her to help others enduring the same affliction. Andrew Langston was another season 4 patient. Portrayed by James Immekus, he actually appeared in the same two-parter as Beth and Jeremy, “Freedom’. However, his love story wasn’t nearly as romantic. The poor guy jumped into a vat of cement on a dare in order to impress the girl of his dreams, Lola. Andrew was brought into the hospital completely encased in cement and almost didn’t survive the experience. Although it took the efforts of several surgeons to save his life, Andrew’s story did have a happy ending. Not only did Andrew live to tell the tale, but Callie even convinced Lola to stop caring about what her mean friends would think. She finally gave into her feelings for him. This is nothing against Queer as Folk star Gale Harold, but season 4 patient, Shane, is one who no one wants to remember. The paramedic was injured in an ambulance crash after his partner, Mary, had a seizure while driving. Mary was a black woman, but despite his concern for her well-being, Shane was a racist. Shane didn’t want to be treated by Bailey, Yang, or Webber, and was sporting an enormously offensive tattoo on his stomach. He was afraid that Bailey wouldn’t work as hard to save his life because of it. Of course, she made every effort to keep him alive and succeeded - marring his precious tattoo in the process. However, George, the only surgeon that Shane approved of, made a point of telling him that the world would be a better place without him in it. Meredith hasn’t had many love interests since losing Derek, but for a moment there, it seemed like Nick Marsh (Scott Speedman) was going to be one of them. A transplant surgeon who collapsed while retrieving a liver from Grey Sloan Memorial, he appeared in season 14 episode, “One Day Like This”. Nick had had a recent kidney transplant himself and Meredith wound up having to rush him into surgery due to some unforeseen complications from it. There was definitely chemistry between Nick and Meredith. The two flirted pretty heavily and had a great conversation. In the end, Nick returned to Minnesota and hasn’t been heard from since. That’s okay though, considering Meredith has her hands full with a love triangle this season anyway. Still, it was nice to see them have a moment. Munchausen syndrome is a real and serious illness, but Kalpana Vera was a particularly irritating patient. According to Kalapna (pronounced Kul-puhna), she was named by villagers in Nepal and interestingly, her full name translates to "imaginary truth." Kalpana is Hindi for imaginary, while vera is Latin for truth. Admitted for arrhythmias, Cristina soon became positive that Kalpana’s condition was one that should land her in the psych ward, not under the care of Preston Burke. The most frustrating aspect of this case was watching everyone doubt Cristina because she had recently suffered an ectopic pregnancy. On top of the fact that no one believed her, Cristina was also trapped recovering with her mother in a hospital room all day. We’re all glad that Kalpana got the help that she needed, but no one’s hoping to see her return. Perhaps the easiest way to make a serial life taker memorable is to cast Eric Stoltz in the role. He appeared in a three-episode arc during season 5. Responsible for taking the lives of five women, William’s own execution date was looming. However, he was stabbed a week before, so it was up to the hospital to save him… before the state could legally end his life. Dunn was memorable for different reasons than most of the patients on this list. Stoltz gave an impressive performance and the story raised necessary questions about capital punishment. William almost shuffled off the mortal coil of his own volition so that ten-year-old Jackson Prescott could have the organs that he so desperately needed, but the inmate was too afraid to let go - not that it saved him in the end. This season 2 patient, portrayed by Scott Michael Campbell, was admitted to the hospital due to a bowel obstruction. The doctors thought that it was drugs, but in a rather icky twist, R. Hubble caused the issue himself by swallowing the heads of ten Judy dolls - this is also where we learn that Bailey is something of an expert on Judy dolls. She could even tell which was which just by the heads removed from the patient’s stomach. Hubble is best left forgotten, because does anyone really want to consider his reasons for swallowing these children’s toys? We thought not. The patient even told Meredith that she was better off not knowing and it’s likely that that’s the truth of the matter. Played by That 70s Show alum, Wilmer Valderrama, Kyle Diaz had a multi-episode arc in season 12. He was a musician who was living with MS and while in the hospital, he fell hard for Stephanie Edwards. She tried to resist him, but his charms eventually won her over. Stephanie cared for Kyle, but struggled in their relationship due to the intensity of his illness. She eventually chose to end things. When Kyle wound up back at Grey Sloan Memorial with meningitis, the two seemed bound for reconciliation. Sadly, Kyle never made it through surgery. All Stephanie could do was watch from the gallery, helpless as he slipped away. Kyle hadn’t just won over Stephanie, but viewers as well, and most were sad to see him go. Portrayed by Brian George, Emile Flores appeared in season 6 episode, “Valentine’s Day Massacre.” His story was so engrossing that even Alex and Meredith got caught up in it. Emile was head waiter at a popular restaurant. The roof collapsed on Valentine’s Day, injuring many couples out for a romantic dinner. One of them was Mr. and Mrs. Banks. Emile confessed to Alex that he had been in love with her for the past fifteen years, but never said a word, not even when she got married. The waiter was convinced that Mrs. Banks’s marriage had become a loveless one, but she told Meredith that this was untrue. Mrs. Banks did hear Emile’s admittance of his love for her and although she chose her husband, was still heartbroken when Emile didn’t make it through surgery. Viewers were crushed as well. Just when you thought that patient/doctor romances could never again hit as hard as Denny and Izzie, in walked Scott Foley’s Henry Burton. The future Scandal star not only charmed audiences as the season 7 heart patient, but his doctor, Teddy, as well. Being the kindhearted person that she was, Teddy agreed to marry Henry so that he could use her health insurance to get the surgery that was necessary to save his life. Despite the contrived way in which their marriage began, Teddy and Henry soon developed very real feelings for one another. When his health further deteriorated, he was rushed into surgery. Although it was Cristina performing the operation, she was not informed of the patient’s identity until she’d already lost him. Seriously, if this one didn’t crush your soul, you might not have one. Which Grey's Anatomy patients do you think are the most memorable and which ones would you rather forget? Let us know in the comments!